Leading Manufacturer of alumina-zirconia (25%) for coated and bonded abrasives and alumina-zirconia (40%) for coated & bonded abrasives from Jodhpur. AZ25 is an electro-fused alumina zirconia grain,produced by fusing high grade alumina and zirconia at about 2000 ??? temperature in an electric arc furnace.And then by quenching,crushing and sizing to the desired grain sizes. This alumina-zirconia(25%) grain consists of the fine primary Corundum as well as ZrO2-Al2O3 eutectic crystalline.This microstructure offers the high intrinsic grain strength and high wear resistance to dulling. AZF25 is a hard,very tough and sharp abrasive material for uses in producing large grinding wheels for foundry snagging. AZS25 is a re-shaped product based on the original AZF25 material.The grain has a very blocky shape with rounded and mulled edges,it is used mainly for producing large organic grinding wheels for steel conditioning industry. We supply this product in collaboration with Pangea International Ltd., China of whom we are exclusive agents. AZ40 is true eutectic zirconia-aluminum oxide grain, produced by a unique process. Which involves the fusion of high grade alumina and zirconia at about 2000 temperature in an electric arc furnace. The molten products is cooled down rapidly on special cooling aggregates in order to create tiny crystal size and the extremely fine crystalline microstructure. This structure offers the high intrinsic grain strength and high resistance to dulling. Our AZ40 is one of the most durable materials in the abrasive industry, outperforming other abrasives like brown fused aluminum oxide and silicon carbide. 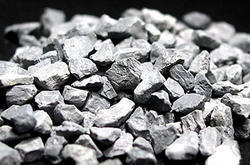 Looking for Alumina Zirconia Grains for Coated and Bonded Abrasives ?